Each month, NB Online will bring you a new product from our online shop that our customers tell us they can't get enough of. We sell over 700 practical products to help people maintain their independence and keep them doing the things they love most. 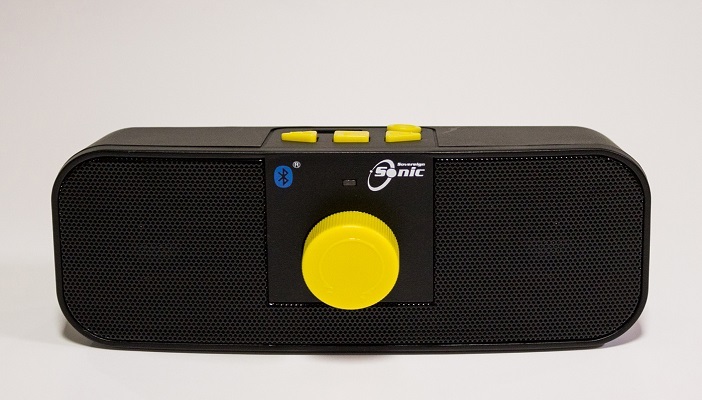 This high quality, portable USB player is the perfect way for anyone with sight loss to listen to music, Talking Books, newspapers and magazines directly from a USB stick or via Bluetooth. The raised, shaped buttons with tactile markings make it very easy to use. Whenever the player is switched off or the USB stick is removed, the Sonic will remember the place it was stopped at and resume playing from there when reconnect or turned back on. To find out more or to buy the Sonic today, shop online.